Do you have big dreams? Are you working to create financial security for your family? Are you destined to be a leader in your community or field? Do you have a big idea to benefit humanity? Are you building a legacy? 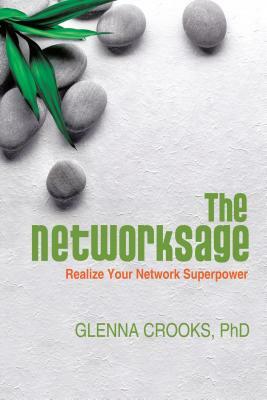 In The NetworkSage, author Dr. Glenna Crooks shows you aren't alone on your journey, whatever it may be. She discusses how you live life supported by eight network groups--a family network, a health and vitality network, a social and community network, and a career network, to name a few and you support other people as part of their networks, as well. The NetworkSage shows the importance of networks for success, and it offers specific ideas about how to manage them well from people who have done it, succeeding in improving their health, personal relationships, family life, income, and careers. Crooks offers a road map to help understand networks in a new way, and she introduces ACTSage, a three-step process to help you become aware of your connections, gain clarity about your needs, and transform your life. She shows you how to become a NetworkSage. The wisdom you gain will empower and transform you.